Football is a sport played on a symmetric field in which two teams attempt to control the ball, gain field position, and score by kicking the ball through the goal. These are questions about the various codes of football. 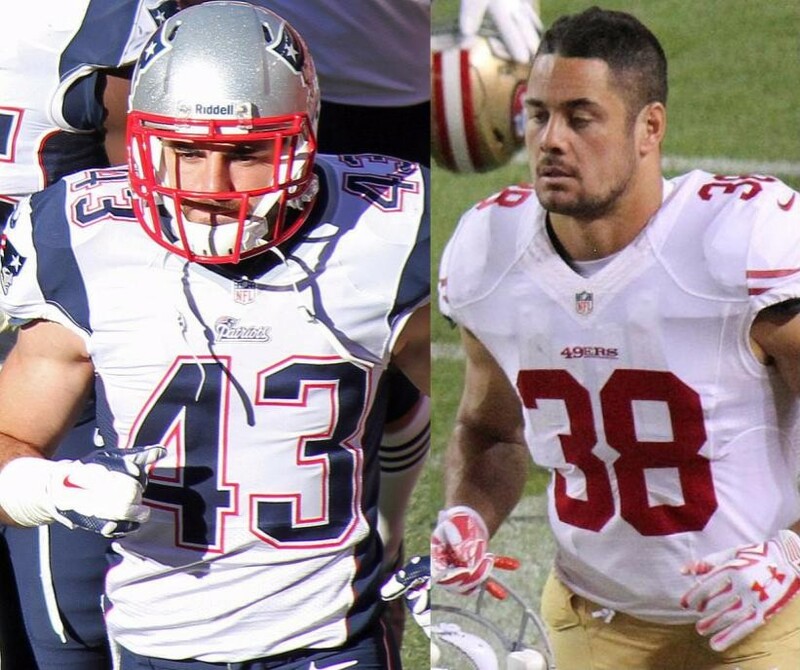 The shirt worn by football players in the United States of America is called a jersey. What term, of related origin, is the shirt worn by footballers in Australia? Fill in either blank (two different answers). The first college football game was not Princeton-Rutgers in 1869. Depending on what counts as football, it might be either the earlier rugby fixture between Edinburgh and _____ or the 1874 meeting of Harvard and _____. 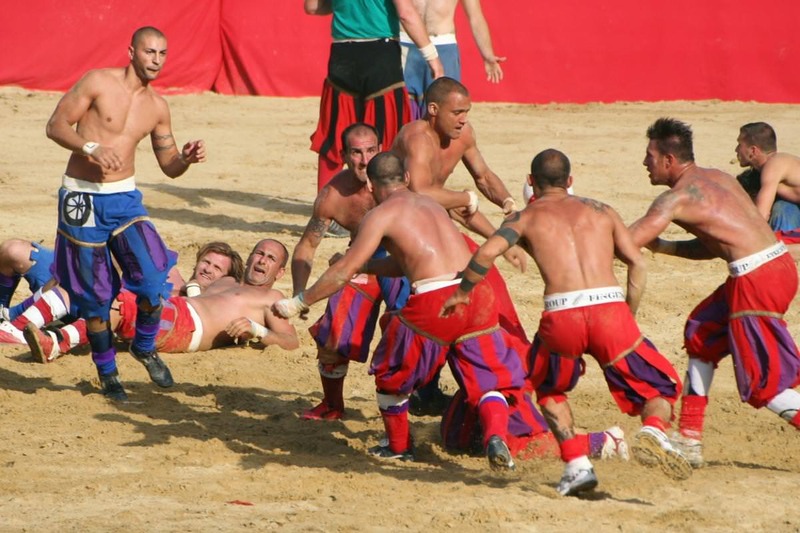 What city hosts this traditional calcio match? Identify either of these erstwhile international rugby sevens players. Sky Blue, London Bees, Glasgow City and Turbine Potsdam are all football clubs of what specific description? 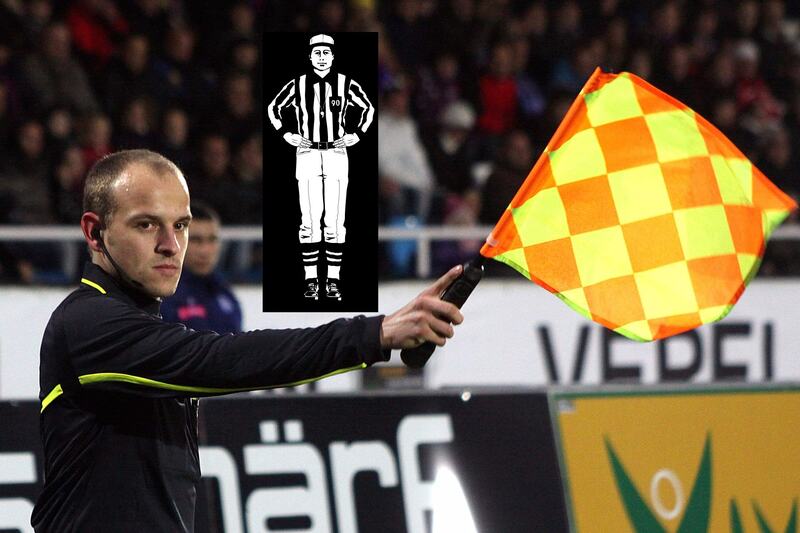 What football code uses this apparatus? What are these gentlemen signaling? In both soccer and rugby union, the number 11 is traditionally worn by the player in what specific position? Fill in both blanks with the same word. or, if the _____ is scored as a result of a missed field goal attempt, the receiving team may choose the last point of scrimmage. In most codes the goal frame is located on the goal line. 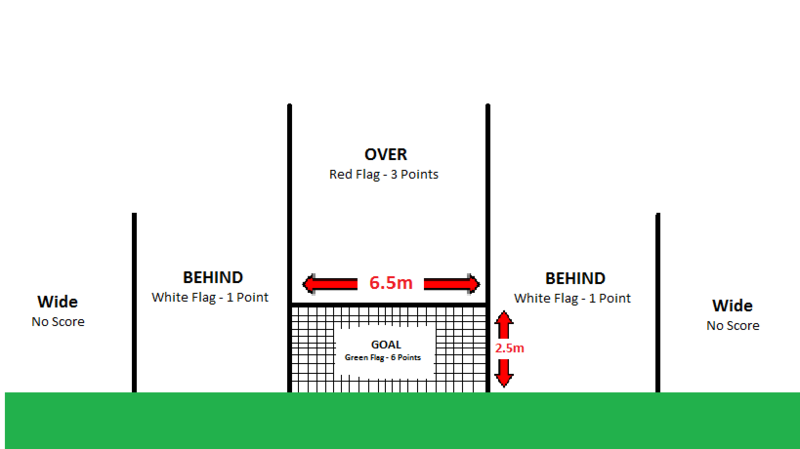 In what specific major football code is the goal instead located behind the goal line? What notorious code-switcher has played Rugby League for the Brisbane Broncos, Union for Biarritz and Queensland, and Australian Rules Football for the Gold Coast Suns?